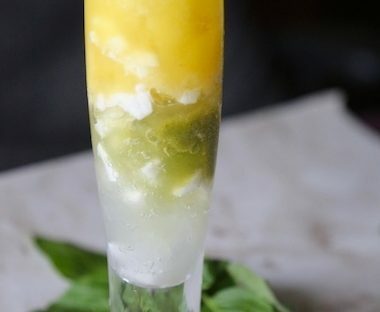 A delicious combination of whisked Shrikhand or sweetened strained yogurt and buttermilk this tangy beverage is a traditional favorite in the hot summers in India. It can be seasoned with nutmeg, cardamom or saffron or top it with fresh fruit like mango or strawberries. You can also flavor this with vanilla if you like. It's not traditional but works well with blueberries. 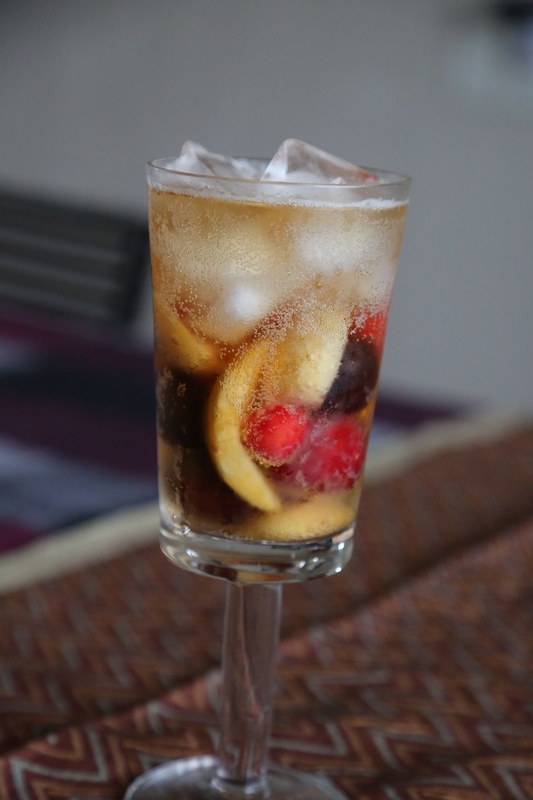 This is a rich drink and can also be served as dessert or instead of tea. If you use unsweetened Greek yogurt you will need to add more sugar to taste. If you used a flavored yogurt you may want to omit the spices. Whisk the shrikhand or greek yogurt until soft and fluffy. Add 1/4 cup water to thin it. Then in a slow stream add the buttermilk and keep blending it to form a smooth batter. This is best done by hand and not in a blender. You want a slightly uneven liquid with blobs of yogurt swirling about. Add the spices of your choice, add sugar to taste. This is meant to be a tangy beverage. Whisk again, add water if required to thin. You are looking for the consistency of pancake batter so do not add too much water. Divide between 6 low ball glasses. Top with cut nuts or fruit. Serve with a spoon. Kokum or mangosteen is considered the queen of fruits by botanists. Native to india it is used copiously in its dried form as a souring agent in cooking. Boiled it makes for a beautiful red syrup. 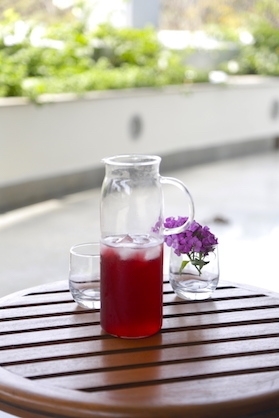 The active ingredient garcinol reduces inflammation and ulcers hence its an excellent cooling drink in the summer. In the market dried mangosteen or kokum is found in the soft and hard form. Its a dark, gnarled, purplish pod. This recipe calls for the soft variety. Pour two cups of tap water over the kokum. Don't soak it, instead immediately drain it to remove impurities. Place the rinsed fruit and 3 liters of water in a large stock and cook on a high flame until it begins to boil. Add sugar ad continue to cook until the syrup reduces to 1-1.25 liters. Drain in a sieve and using the back of a spoon press against the fruit to squeeze out all the juices. Discard this fruit. Chill the concentrate and use for up to 6 weeks. Pour about 1/4 cup concentrate into a high ball glass. Add ice if desired. Top with chilled water or club soda and stir in black salt and cumin if you like. Amalaka is Sanskrit for Avla also called Indian Gooseberry and has great significance in Hinduism and is highly valued in Ayurveda as the balancer of all doshas- a rare quality in any one ingredient. 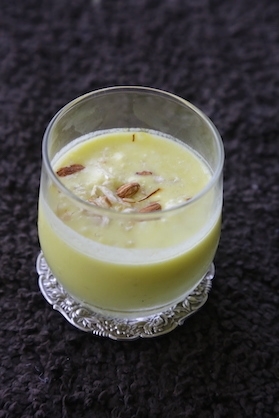 Amla is believed to have originated from Amrit when drops of it fell to the earth. Regular consumption is said to improve general health. It is used in Ayurveda as a fever and heat reducer (great in the summer), aid digestive and hair growth. The fruit is so treasured temples have the shape carved as a motif in stone relief. Lingaraja temple has a roof top in the shape of Amla. My grandmother grew this in her garden in Belgaum. We pickled it also but the sherbet with a hint of cinnamon poured over ice is so refreshing. There are many different ways to prepare it. If you use castor sugar you get a clearer yellow liquid like the one in the photo but if you want to avoid refined sugar, sugarcane juice is a good option but you will not get this yellow hue. A stick of cinnamon, mint leaves, edible flowers, powdered cumin, black peppercorn can all be used flavor enhancers and garnishes. It is also a good base for cocktails made with white rum, vodka and gin. STEAM THE GOOSEBERRIES UNTIL TENDER. THIS MAKES THEM EASIER TO PROCESS. RESERVE THE WATER FROM THE STEAMING. SLICE THE GOOSEBERRIES OPEN AND DISCARD THE SEEDS. RETURN THE GOOSEBERRIES, SUGARCANE JUICE OR SUGAR, LEFTOVER LIQUID FROM STEAMING, GINGER AND LEMON JUICE TO A LARGE COOKING POT. USE A STAINLESS STEEL CLAD OR ENAMELED POT.USE A POTATO RICER OR MASHING TOOL TO PRESS DOWN ON THE GOOSEBERRIES TO RELEASE THEIR JUICES. COOK THIS ON A MEDIUM FLAME UNTIL REDUCED TO HALF ITS VOLUME. COOL, STRAIN, PRESSING DOWN ON THE FRUIT WITH THE BACK OF A SPOON. DISCARD THE FRUIT AND GINGER. RETURN THE JUICE TO THE POT AND COOK UNTIL YOU HAVE ABOUT 4 CUPS OF THICK SYRUPY LIQUID. CHILL THE CONCENTRATE AND USE OVER 6 WEEKS WHEN DESIRED. ADD SOME CONCENTRATE TO A GLASS AND FILL WITH COLD WATER, CLUB SODA AND ICE. GANISH WITH A SPRIG OF MINT OR STIR IN A STICK OF CINNAMON. THE MILDLY BITTER TONIC WORKS BEAUTIFUL WITH THE FRESH MINT. 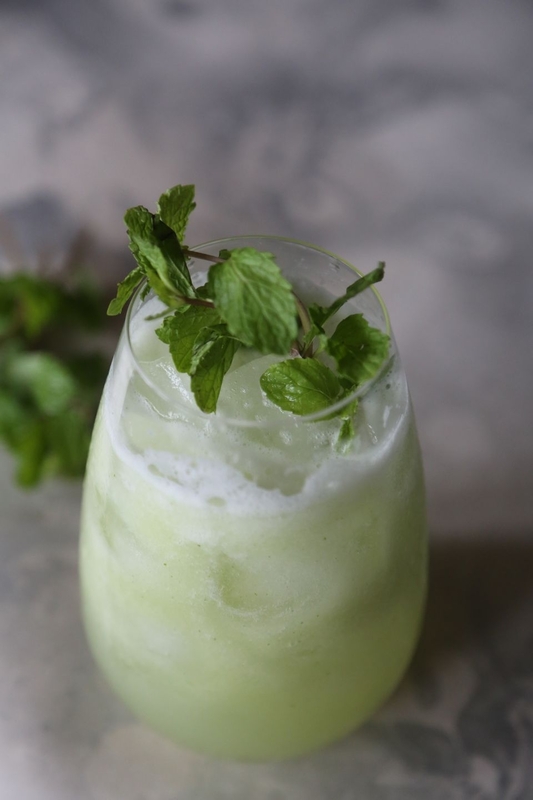 PUREE THE APPLE, MINT AND CUCUMBER IN A FOOD PROCESSOR. ADD ONE AND A HALF CUPS OF CHILLED WATER AND PUREE AGAIN. STRAIN THROUGH A FINE SIEVE. USE THE BACK OF A SPOON TO PRESS DOWN AGAINST THE PULP TO EXTRACT ALL THE JUICE. DISCARD THE PULP. DIVIDE BETWEEN TWO GLASSES FILLED WITH ICE. TOP UP WITH TONIC WATER. 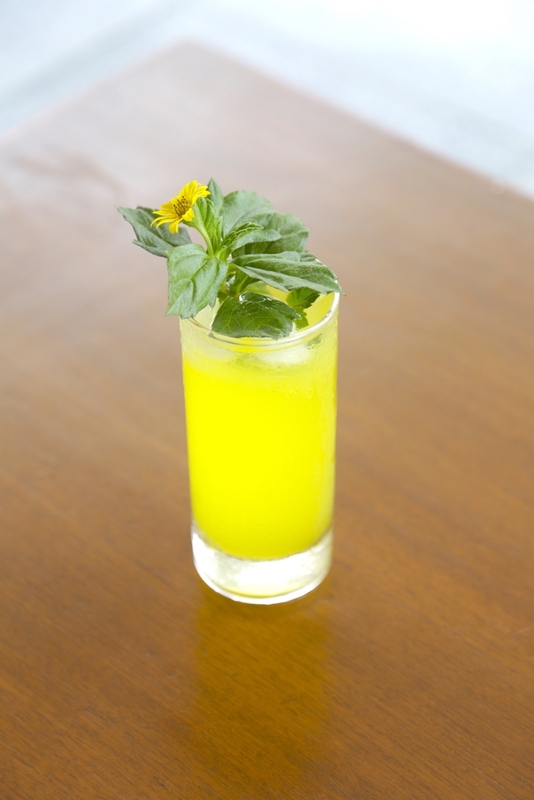 GARNISH WITH MINT LEAVES IF DESIRED, STIR AND SERVE IMMEDIATELY. This is a vegan and gluten free, natural raw dessert or beverage. There is no added sweetening. For the granita freeze the coconut water in an ice proof box. Every 1 hour use a spoon to scrape the freezing tender coconut water. Do this thrice until you have crushed ice consistency. Keep frozen. While the coconut water is freezing chop the tender coconut into small pieces, cover and chill. Puree the basil and pineapple juice. Strain through a fine sieve. Discard the pulp and chill the juice. Puree the chopped pineapple and chill. You will need to work fast in a hot climate. 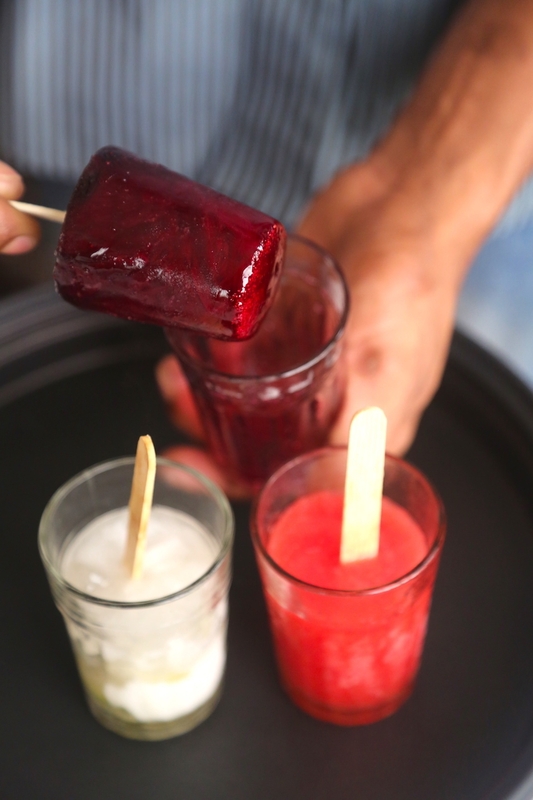 Keep all ingredients spoons and glasses ready before you take the granita out of the freezer. This can be served as a beverage in taller champagne flutes or as a vegan dessert in small chai glasses or dessert cups. Divide tender coconut granita among 4 glasses. Top with chopped tender coconut meat. 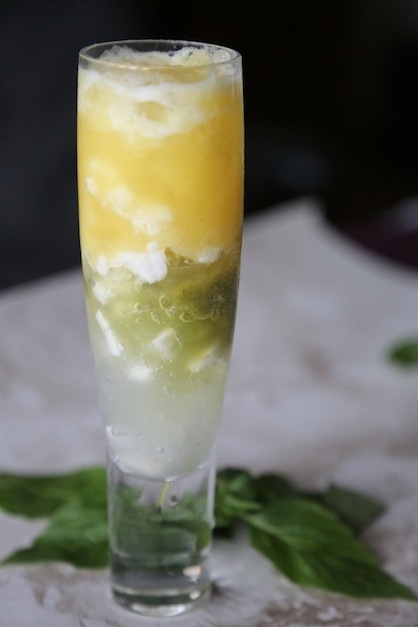 Drizzle with basil and pineapple juice and top with pureed pineapple. 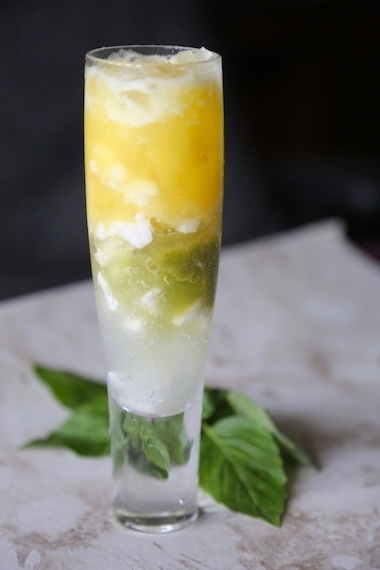 Garnish with fresh basil. Serve immediately with cocktail sticks or dessert spoons. 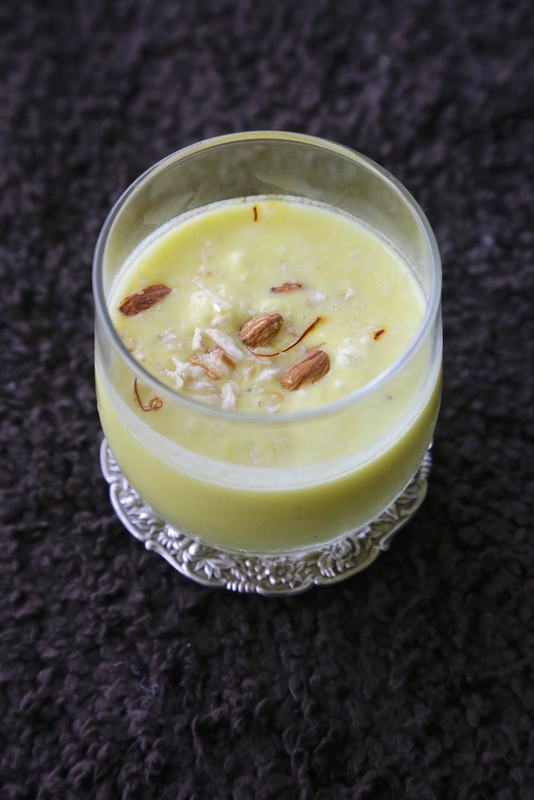 This twist on traditional Limboo Paani has a lovely golden color from the saffron. You only require the skins of the green cardamom pods. Reserve the seeds for something else. For the sugar syrup heat sugar, cardamom skins, salt and 2 cups water in a small skillet on a medium flame. Reduce to half its volume but do not caramelize. Cool completely and strain. Discard cardamom skins. Add lime juice, saffron and stir well. Cover and chill 3-4 hours or overnight. 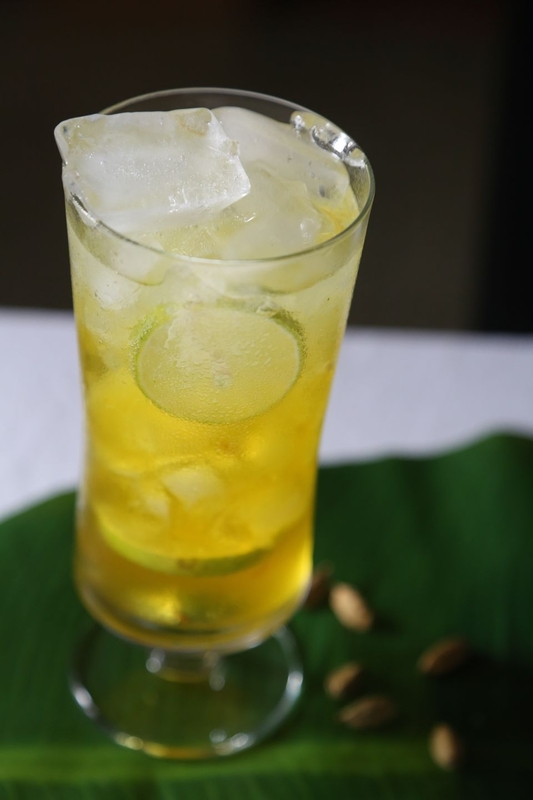 Fill 4 high ball glasses or 6 low ball glasses with 3-4 large cubes of ice and divide the lime saffron mixture equally. Top up with cold water or club soda. Stir and serve immediately. 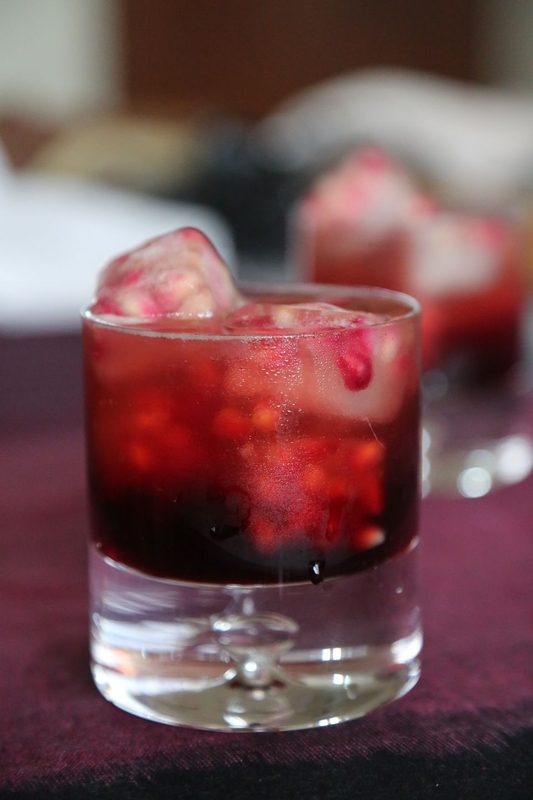 SCATTER THE POMEGRANATE SEEDS INTO 4-5 SECTIONS OF A STANDARD ICE CUBE TRAY. POUR CLEAN WATER OVER THEM AND FREEZE. STIR TOGETHER GINGER SYRUP, LIME JUICE POMEGRANATE MOLASSES WITH CINNAMON STICK IN A LOWBALL GLASS. ADD POMEGRANATE ICE CUBES AND CLUB SODA. STIR AGAIN WITH THE CINNAMON STICK. DISCARD STICK.